Need your own special skydancer , inflatable man made to match your dream.To those who dont know better it seems so simple. The fact of the matter is it that its not as simple as one may think. Please Invest just a few minutes on our blog over the next few weeks, and you'll discover the ......7 critical questions you must ask your promotional inflatable company to ensure your next project achieves your objectives ... and avoid ..................... wasting time, money and energy on an unreliable, inexperienced inflatable products company who fails to deliver on their promises. 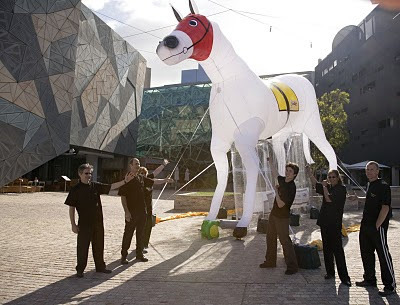 Plus, you'll learn what leading companies like Cricket Australia, Netball Australia, Yamaha, Jack Morton Worldwide, Elite Sports Properties Holdings, KFC, Price Attack,Optus, National Foods... even the V8 Superstars and the Melbourne Cup have to say about their inflatables experience. Are you looking for an inflatables supplier who is reliable, dependable, quality assured and reasonably priced? If so, then I urge you to read every word of this letter. 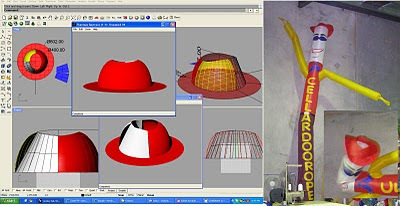 You see, choosing the right inflatables company for your project is a critical decision. How do you make more sales every day ? Its really simple - just make sure you are always seen ! Just make sure people know you exist ! Simply take every opportunity to be seen ! - always fresh and always where its noticed best ! Make our shop visible with ACTION where customers, on a whim, can just simply come through the door and make a purchase. Eyecatchers Ravers that dance and move and attract attention are the most cost effective way to make sure there is ACTION in front of your shop. Sky dancers , Inflatable wavers, Air Dancers, or dancing stick men create ACTION in front of your store. When people know you exist they may even visit your store. Simply get your sales moving now and take advantage of a very special offer !. Inflatable Air Dancers will do it. We are committed to getting you noticed by passing traffic and we are committed to getting you the sales that are passing you by. Attract attention to your shop. inflatableRavers have been doing it for years. Ravers.com.au are the original eye catchers that so many have copied but NEVER made better. Inflatable products that are used for industrial applications are the new horizon for cost effective easy to use and labor efficient operations.These include inflatable plugs and inflatable stoppers, inflatable pipe plugs and inflatable void formers. 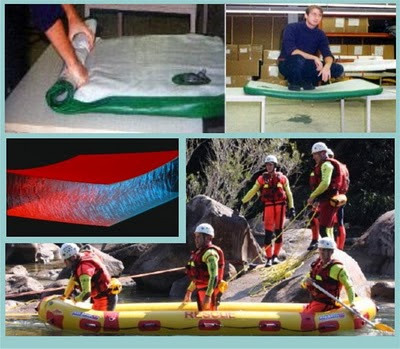 There are new technologies of inflatable products that offer strength and smart and innovative design options. When we were asked to make a 6ft high Inflatable kangaroo for TAB to coinside with the soccer worlds cup it seemed a simple ask. But there are inflatable Kangaroos and then there is Ozzie. An inflatable Kangaroo with attitude. A inflate and seal mascot that will represent the theme. Our client had tried to create an inflate and seal mascot that looked like their vision , with another supplier but an inflate and seal mascot with attitude was not what they got. What Showing Style wanted was an inflatable, inflate and seal mascot Kangaroo that would represent the mascot character of the Socceroos, a team with attitude – the attitude that can win. The lesson here is simple – if you know what you want and need it as you want it, then simply team up with a company that have the know how and the patience to best achieve that end. Giant Inflatablescan offer that service. These are difficult times in most industries. Customers are becoming more demanding; revenues are down; and promotional strategies that worked in the past aren’t as effective as they used to be. The good news: "It doesn’t have to be that way". There is an incredible variety of proven strategies available to get prospects to come looking for you, instead of the other way around. And, as a bonus, these strategies are unique, effective, and fun to implement! Doing promotions in busy shopping centers and high traffic public spaces is always a challenge. By adding the dimension of an interactive experience in order to reinforce the brand or develop the image is always going to complicate the operation. That’s where a creative team can make your clients $$$ go a long way further in meeting their needs with your imagination. 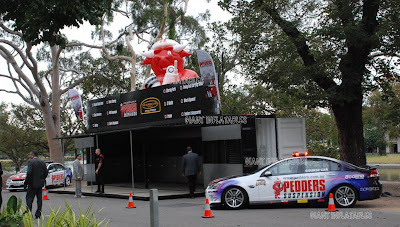 The Team of Promotional Sampling - http://www.promotional-sampling.com.au/ had such a dream and called on The Giant Inflatables to turn such a dream into reality. Its fun creating new Raversand Eye-catchersAnd having fun is what keeps us going. But in the end Ravers are about attracting attention in a way that will make people smile. Because when they smile they remember. 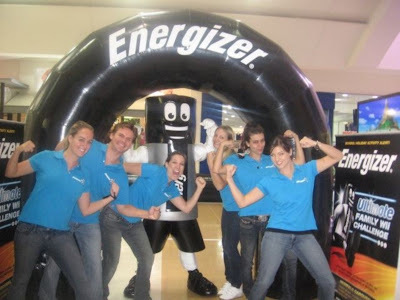 But even more then that - Inflatable Ravers are about the sales staff feeling that they have help! Not many clients think of that when they ask us for a way to attract passing traffic. So our hero has arrived for passing traffic and for clients looking to have motivated staff and walk through traffic in the shop. Need more sales - call us on 1300inflate or visit our new web site and see it all. 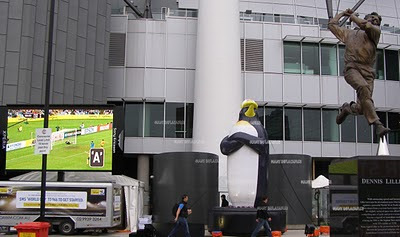 And an inflatable character tells the story in a way that will be remembered long after its gone. Pictures say it all….. but inflatable characters say even more. That’s why companies that need to tell their stories in a way that will attract attention and never be forgotten choose to use inflatable marketing products. When a company looking for a marketing angle that will be seen by many, is looking to get the story told well, they will look for a supplier that can interpret and understand the plot and then deliver what their imagineers have dreamed. The talented team at Giant Inflatables have the experience and the understanding to listen to a clients dream, and know how to turn that into a workable, usable reality. 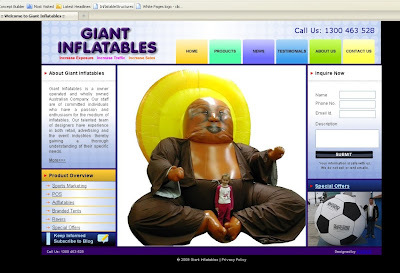 The Giant Inflatables website been a VERY long time in coming. At last our NEW website www.giantinflatables.com.au is here and we are a very proud team. It really amazes me how hard it is to find the balance of ton, content and pitch . As a team of committed individuals we began by asking each member of our diverse team to consider who their client was. What surprised me was how in concert the ultimate aim was to be.